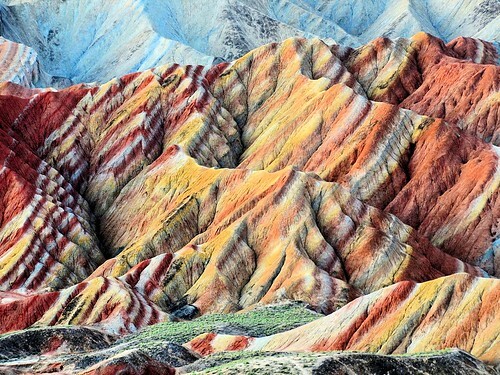 The multicolour mountains of Zhangye Danxia Landform Geological Park in China popularly known as "Rainbow Mountains" are seen to be believed. Mother nature has taken millions of years to create a masterpiece on the land mass canvas. 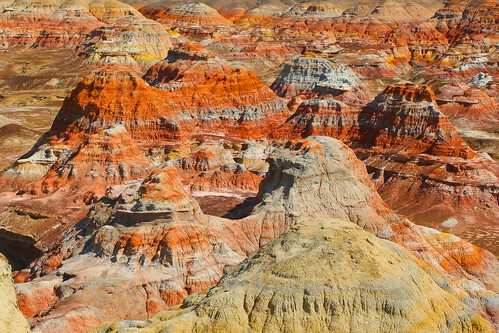 Located near Zhangye city in northwest-central Gansu province of China, the colourful landform is called "Zhangye Danxia" based on the location and the geological name of rocks. These rock bands were created by the deposits of sandstone and other minerals that occurred over 24 million years ago. The colour of rocks varies from deep red to yellow and green and the bands of colour acquire a deep intensity after rainfall and are a treat for the eyes at Sunset. This beautiful location is in UNESCO Heritage site. 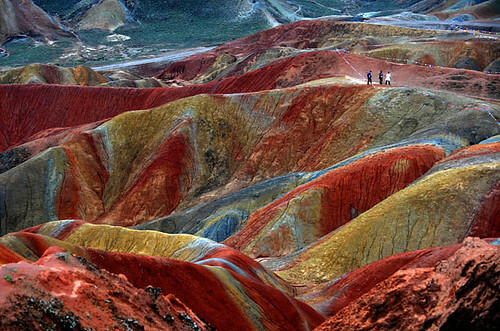 Zhangye Danxia is one of the most beautiful landforms in China and is a top tourist attraction for the region. A series of boardwalks and access roads have been built to help visitors to explore the rock formations.